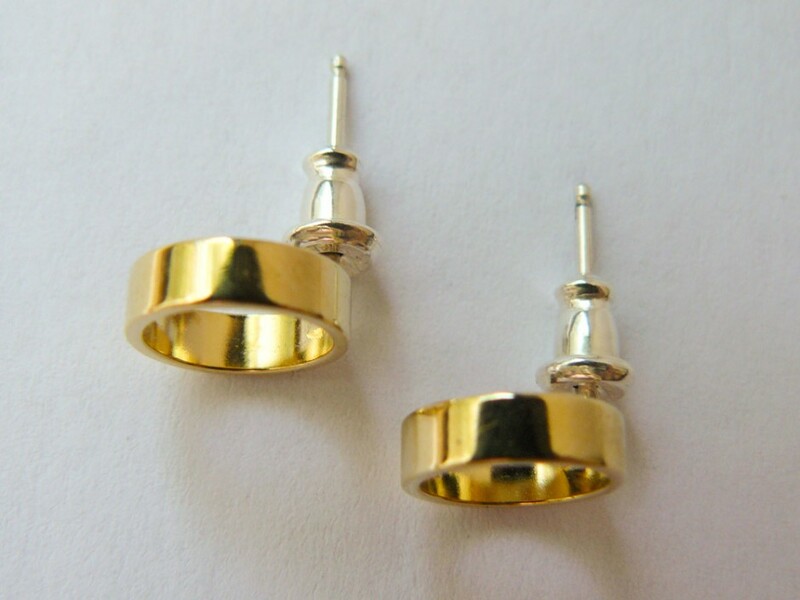 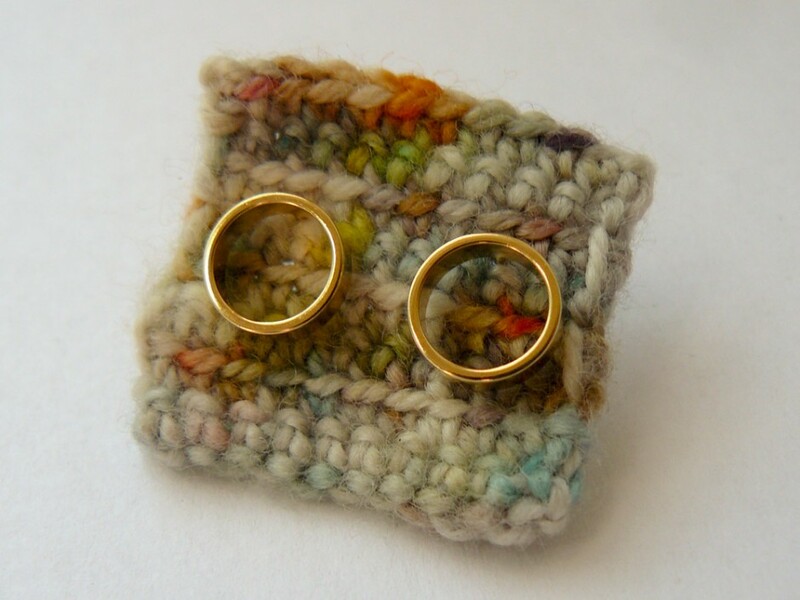 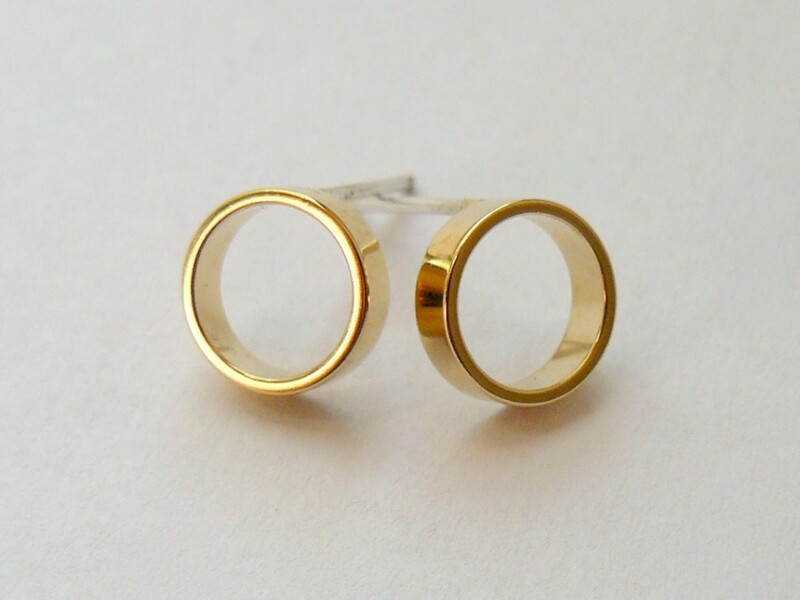 A classic pair of gold circle stud earrings! 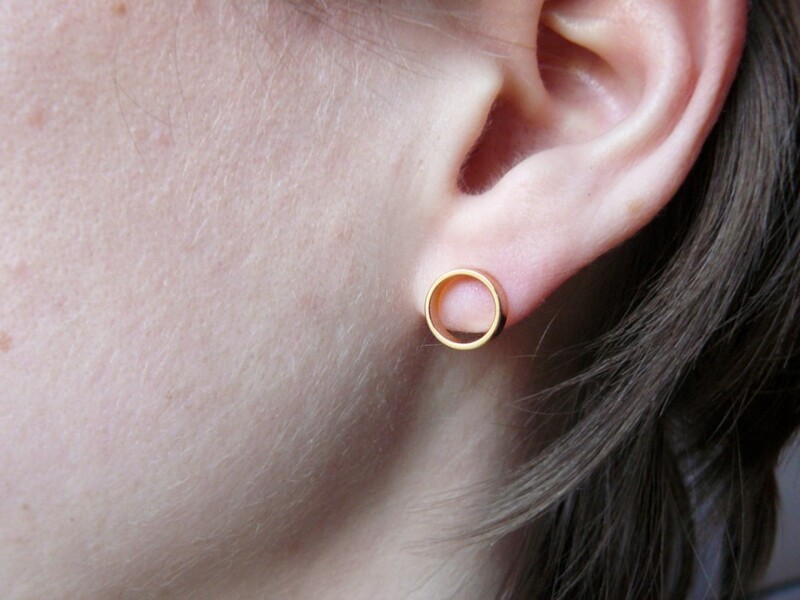 *The circles are approximately 3/8″ diameter or almost 1cm. 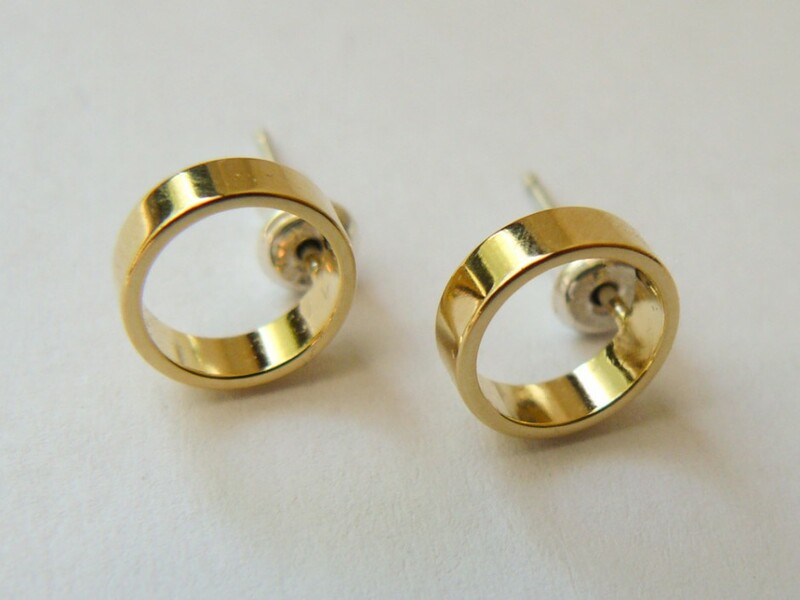 *Circles are micron gold plated.